Congratulations Vanessa Melgar ‘19 and Emani Johsnon’19, for being named Girls Inc. Teen Scholars. They were honored at the Strong, Smart & Bold annual luncheon on April 12, 2019. 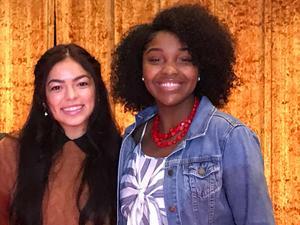 They took the stage to share their stories of how they redefined their futures with the help of Girls Inc. of Alameda County.